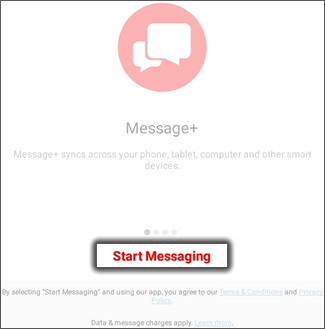 To receive messages sent to your smartphone on another device (e.g., tablet, Palm, etc.) both devices must have Message+ installed. Asegúrate de que Message+ is installed on your devices. Launch Message+ from the secondary device. Enter the 10-digit mobile number of the smartphone you wish to be paired with then tap Next (located upper-right). 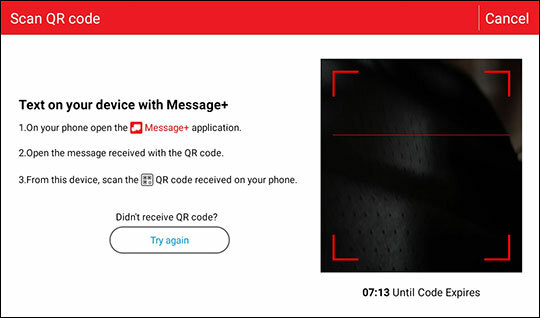 The security code is sent to the smartphone. 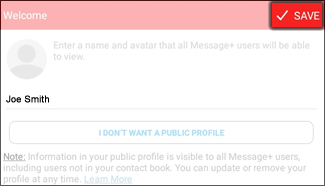 Enter a name then tap Save (located upper-right).